I’ve always wanted to say that but, between you and I, I’ve never cared for Earl Grey tea. I’ve always thought it to be too perfume-y for my taste. I’ve since discovered that perhaps I was being a bit too hasty in my judgment and it had nothing to do with Captain Jean-Luc Picard. Well, maybe a little. 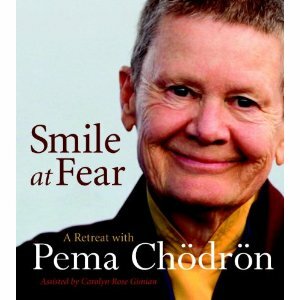 Several months ago, a dear friend was in the hospital for a month. Each day that I would go to visit him, I would stop at the small cafe on the first floor on my way up to his room and get a cup of tea. The selection wasn’t extensive, to say the least (I know, I’m spoiled), and I found myself reaching for a cup of Earl Grey tea. And I liked it. Wait a minute, what? Granted, I laced it with milk and a little sugar but I liked it and found it quite comforting given the circumstances. So, this morning, dear tea friends, I introduce you to a new love of mine – Earl Grey – this one called Natural Bergamot Earl Grey. Earl Grey tea is a tea that has been flavored with the oil of the bergamot orange, a small fragrant citrus fruit grown in Italy. If you’d like to read more about its history, I wrote about it here. 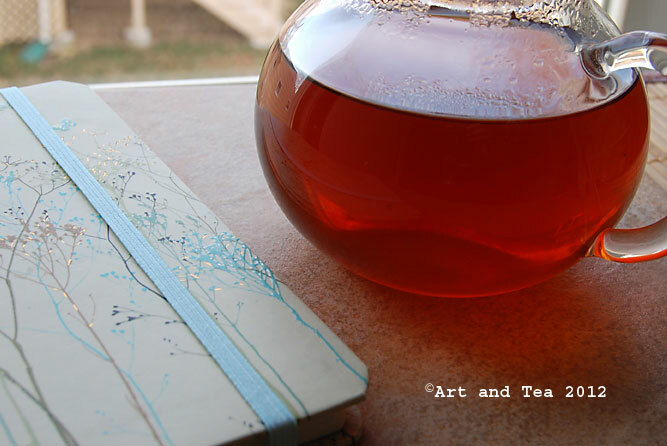 I find it fascinating that way back in 2007 when I first wrote about Earl Grey tea, my photos included a new journal, too. 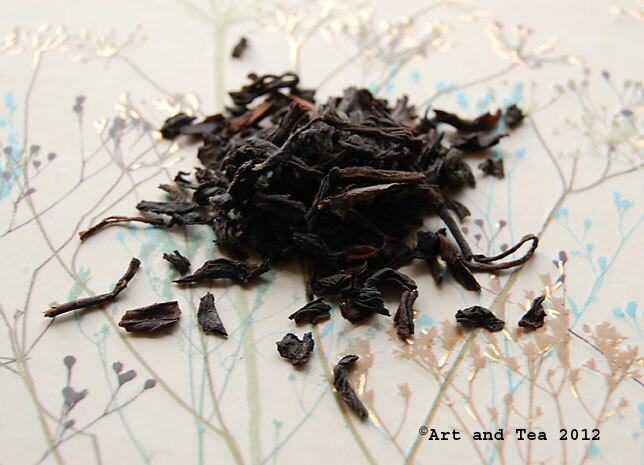 This particular Earl Grey has a whole leaf China black tea base. I steeped it for 4 minutes in boiling point water. Ah, there’s my new journal. I had dinner with a dear friend last night and she gifted me with a beautiful journal. I just love a new journal. It’s a trusted friend, carried with me wherever I go, helping me to record my thoughts, my feelings, my ideas. I’ve always had one as long as I can remember. The tea brewed up strong and hot, just as Jean-Luc likes it. The best thing about this tea is how the flavor of the China black comes through, true and rich with a hint of earthiness. The natural bergamot oil is just the right level for me, not too overbearing and perfume-y but not too light either. Just right. I enjoyed my Earl Grey tea plain this time but it will stand up very well to milk or cream, sugar or honey, whatever you’d like to add. 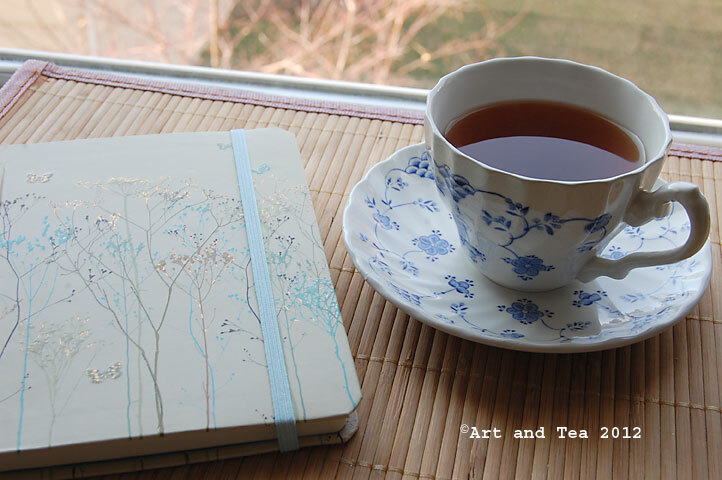 As my tea cools, a sweetness becomes more pronounced and lingers in the finish. 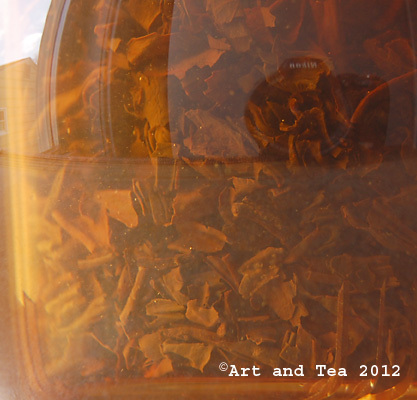 That sparked an idea about iced Earl Grey with a thick slice of orange or lemon. I’ll have to give that a try when the warm weather arrives. Do you like Earl Grey tea? I’d love to hear about your experiences with it! 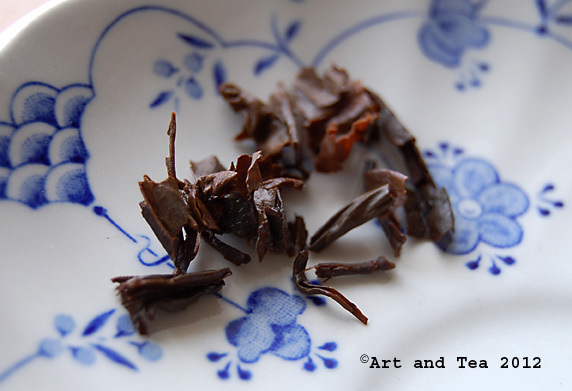 This entry was posted in Black Tea, flavored tea, Photography, Tea and tagged Earl Grey tea. Oh a fresh new journal.. how nice. What a great review Karen. I’m glad you didn’t give up on Earl Grey. I am not big on flavored teas, but this is one I really like. I think the tea must come through and not be overpowered or perfumed by any flavoring-including bergamot. I do think that extra bergamot is fine for iced tea though. I remember years ago, in my loose leaf beginnings, I tried a Lapsang Souchong, and found it very interesting. I never managed to finish the 2 oz package I bought. It is the only non stale tea I’ve ever thrown out! I liked it for a very occasional cup, but for some reason I couldn’t finish it. Back then, my knowledge of tea, steep times and temps, was lacking. I actually like it in your Baker Street Blend. I know I would like it, and brew it differently today. One of these days, I’ll order some, and like you appreciate a tea, that I never really cared for. Thank you for a new Earl Grey to try. I t has always been a favorite of mine. I haven’t had any since I’ve been drinking herbal tea for a while, but I will have to try this one. I haven’t seen your art work lately. Are you still beading etc…? I confess, I knew exactly who you were referring to! 🙂 And I’ve recently discoverd I like some Earl Grey teas – depends on the blend and the quality of the bergamot oil, I believe. Thanks Scott for visiting and sharing! Thanks Susan and you’re very welcome. Because of personal circumstances, I haven’t been beading since last summer.